OLD PARKED CARS. 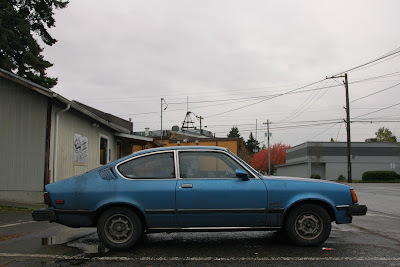 : Saturday Bonus: 1982 Isuzu I-Mark Diesel Fastback, Revisited. Saturday Bonus: 1982 Isuzu I-Mark Diesel Fastback, Revisited. Last seen at its home by Tony in July 2011. Hey, the front end damage was repaired. Guess the owner finally found the parts? One of these is on my wish list. ing back, maybe I should've bought it. such a perfect gloomy east portland setting. when did you shoot this? glad to have it documented again. let's go play some video poker at that tavern. Yay! It's been fixed! I nominate for best of. 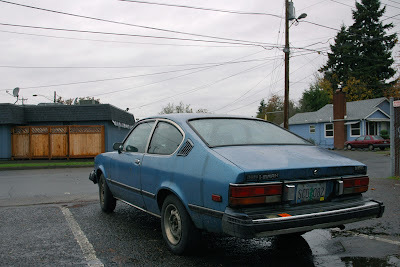 These were good cars; the diesel was reliable and economical (Isuzu claimed 50 mpg when they entered the US market in 1981). I owned two 81 models from 83-90, one a deluxe ES 5-speed and the other a strippo 4-speed. Isuzu bought the Opel tooling from GM in 1976; they were imported and marketed as a Buick Opel prior to 81. 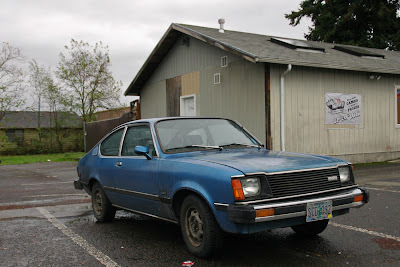 Isuzu"s diesel was eventually offered in the Chevette and the Isuzu built Chevy Luv.